I had to wait less than a year in between reading The Scorpion Rules and The Swan Riders. It felt like I waited a decade. Let me tell you, this did not disappoint and was well worth the pain of waiting. My only major complaint has nothing to do with the actual book. I was in a bit of a reading slump when I started it (I started lots of books but couldn’t seem to finish any) so my reading of this companion novel was choppy to say the least. All my friends were like, “Oh no! You’re not done?! You were so excited for it.” It was all me. I can’t wait to be able to read The Scorpion Rules and The Swan Riders back to back one day. I found this book to be a lot more complex than The Scorpion Rules. That’s not to say that the first book was light but The Swan Riders really hits hard. Erin takes a lot of time exploring humanity, what it means to be human, and the darker side of all that. We are a messy species, that’s for sure. 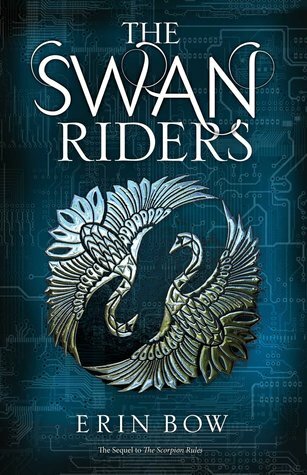 It’s not a definitive discussion on these topics (but I don’t think any book could be) but The Swan Riders can definitely get you thinking. Talis is back in all his sassy glory in this novel, as evident in my favourite quotes, but we also get to see a new side of him throughout the story in The Swan Riders. We also get to see more of the AI’s interaction with his Swan Riders (in case the title didn’t give that away) and understand that dynamic between Lord of Sass and his squad. To say that it’s complex would be an understatement but hey, whatever works for him! Speaking of Swan Riders…I FRICKIN’ LOVE FRANCIS XAVIER OMG! I’m going to be totally honest, at a lot of points during Swan Riders, I was sitting there like “what in the name of Gordon Lightfood is going on here? !” I was so incredibly confused at points but the different with Erin’s story is that I was totally okay with it. I usually need all the answers and don’t like being in the dark about things I think I should fully understand but being a little confused actually added to the ‘atmosphere’ of the book for me. Examining humanity and what it is that makes us human is not a cut and dry investigation. There are conflicting personal opinions, moral disparity, basic cultural differences…and this can differ between countries, provinces, cities, neighbourhoods or even something a small as from household to household. There is no way that this an easy topic to explore and navigating through Swan Riders is justifiably just as messy of a journey. As usual, Erin infused some quirky things that are impossible not to love in the story. Horses named Gordon Lightfoot, Heigh Ho Uranium, and NORAD, some goat cameos, and new interesting AI friends just to name a few. I eagerly awaited this book and was not disappointed in the least. The Scorpion Rules and Swan Riders will forever be two of my favourite books for their eccentricity, complexity, and, of course, Talis. 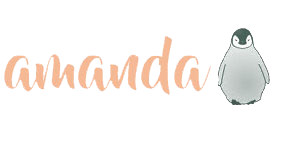 Previous Post #TeensReadFeed: Raincoast’s Winter/Spring 2017 Preview!